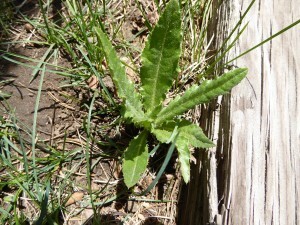 Weeds are a growing concern in our neighborhood. Many homeowner associations and individuals informed CARE that they felt overwhelmed by the numbers of weeds after last summer’s rains, particularly, the Bull, Canada and Musk thistles. 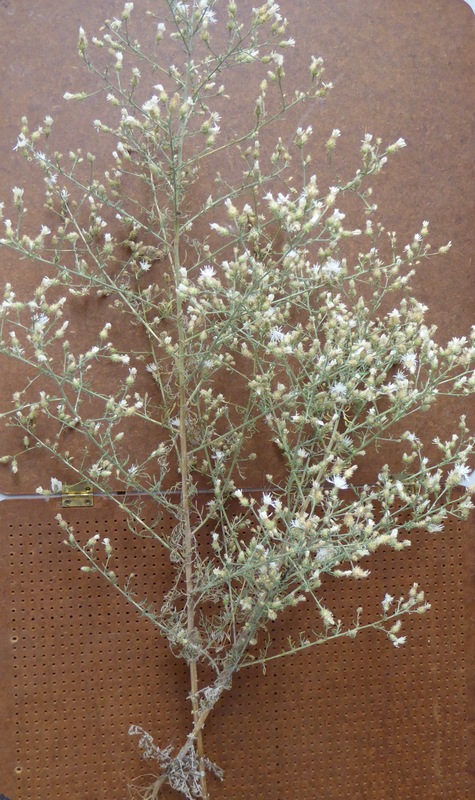 The Mission of the CARE Weed Committee is to maintain the natural heritage of the neighborhood we live in by preserving native plant species as well as mitigating against the spread of invasive weed species. 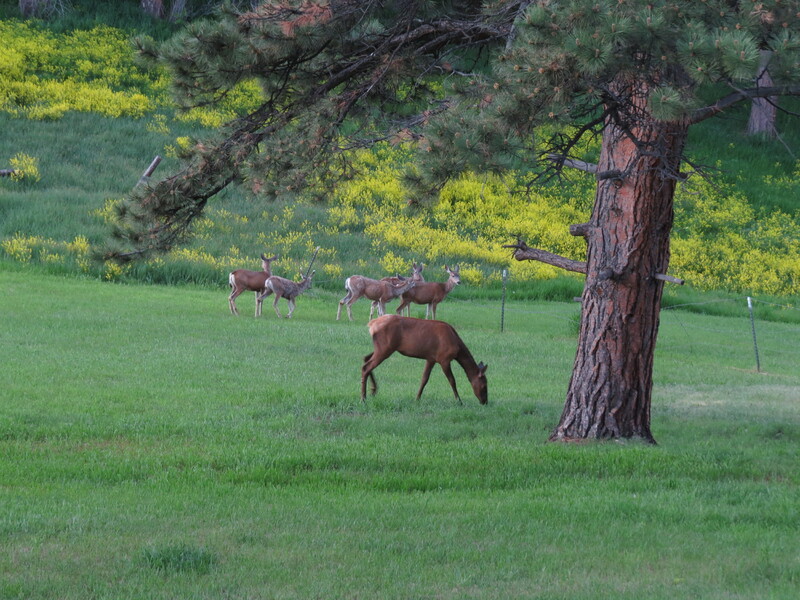 By working with nature we can preserve the essence of the Ponderosa Pine Woodlands and Savannas natural communities that are located within our neighborhoods. Together we can reduce the use of water, reduce erosion, reduce the risk of fire (native species are tougher during droughts) and enhance the natural beauty of this unique part of Colorado making our neighborhoods more beautiful, sustainable and safer. 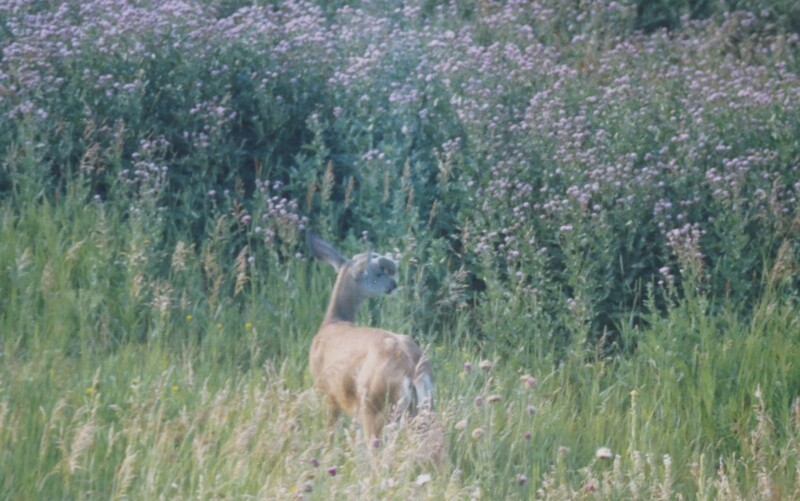 Neighbors who had worked hard to eliminate noxious weeds despaired because neighboring areas were infested so the weeds would return. CARE hopes to help share information on what works, investigate grants and foster cooperation in dealing with this invasion. 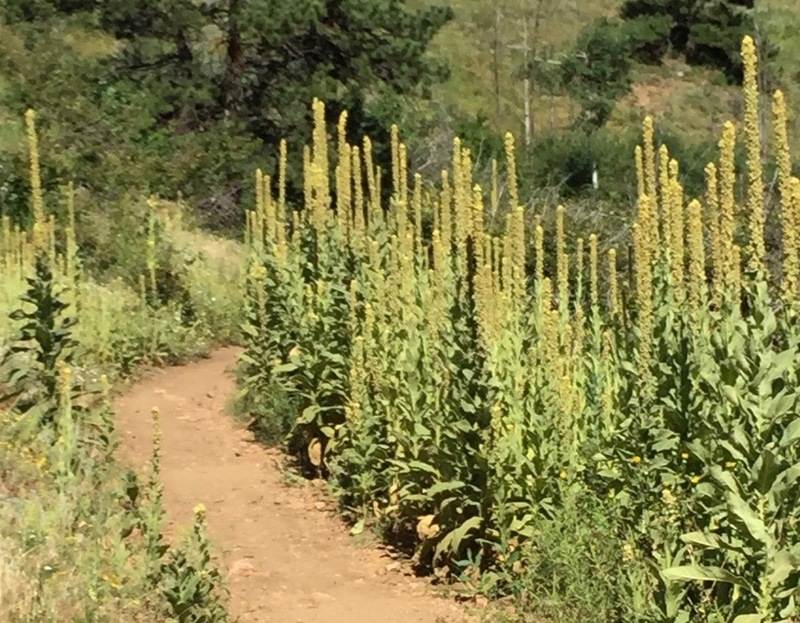 CARE is contacting Jefferson County regarding the weeds on Apex Trail and along right of ways and Denver over weeds on their lands in our neighborhood. Mt. Vernon Country Club HOA pioneered the use of goats several years ago because weed seeds swallowed by goats are destroyed in their digestive systems. Mt. Vernon is now experimenting with the use of a fungus that only attacks thistle. Genesee shows good weed control. Bright Yellow flowers. All parts are poisonous; sap may cause burns or irritate skin. Now is the time to dig them up. Kitty Pring discusses wildfire mitigation for community organizations and how to secure grants to put a fire mitigation plan into action. Annual: (1yr life cycle). 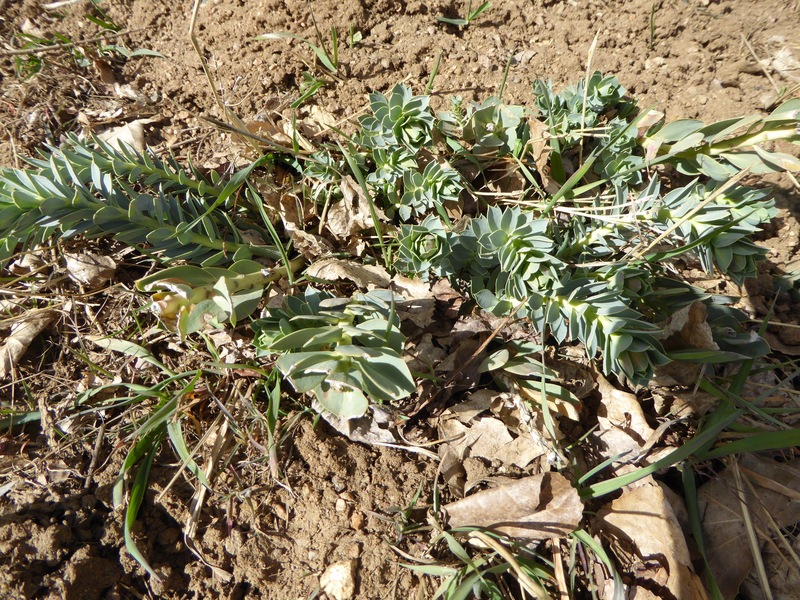 Most commonly a short-lived perennial (survives the winter but doesn’t do well the 2nd yr.); occasionally a biennial (needs 2yrs to complete its life cycle). Flower/Fruit:. Flowers are white to rose, sometimes purplish in color. Heads are many and narrow on the end of each branch. The edges of the specialized leaf (bract) below the flower are divided, like the teeth of a comb. 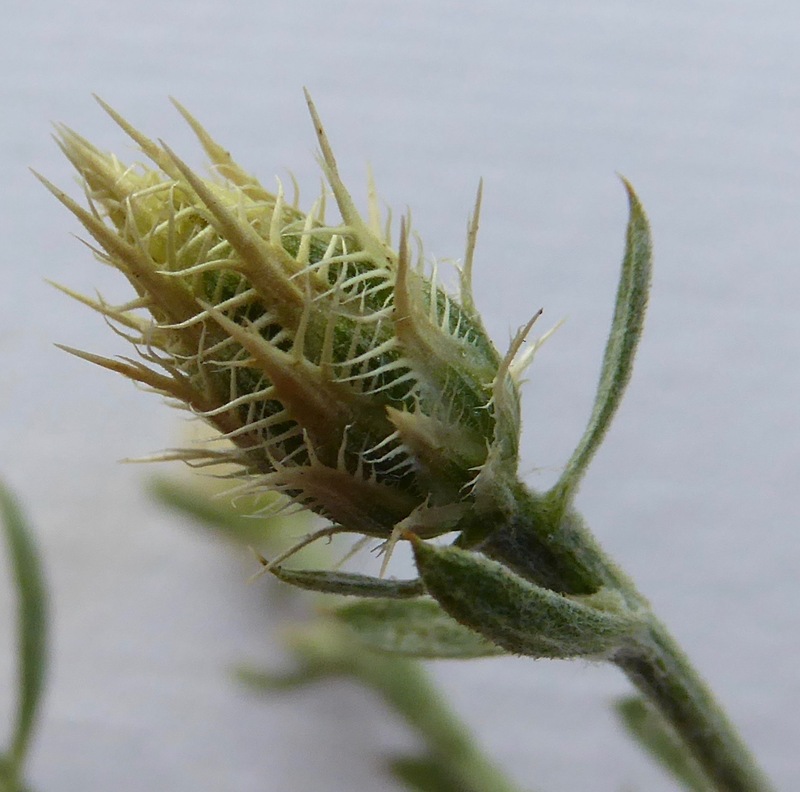 The bracts are tipped with a definite slender spine (important for differentiation from Spotted Knapweed), which makes the flower feel prickly after it dries. Leaves: Leaves are covered with short dense hairs. Basal leaves (leaves at the bottom of the stem) are short stalked and often twice divided into narrow lobes, growing to 7 to 8 inches. Stem leaves become smaller in size further up the stem with top leaves being stalkless and less divided. Reproduce: Reproduces by seed but may regenerate from the crown if cut and root is not dug up. When the plant dries it can easily break off at the base and become a tumbleweed spreading its seeds. 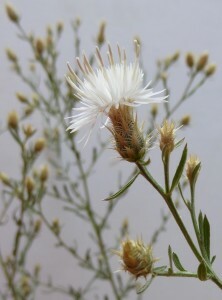 Wind is the primary means by which Diffuse knapweed seeds spread. It can have up to 18,000 seeds/plant. Seed Viable: Several years, possibly up to 8 yrs. Mechanical Control: Cutting or mowing the above-ground portion of the plant, before seed set may be an effective way to reduce seed production, but it will not eliminate the infestation. Mowing usually increases diffuse knapweed density, due to increased germination from the soil seed bank. Mowing should therefore be followed by a fall herbicide treatment (Sebastian and Beck 1999). 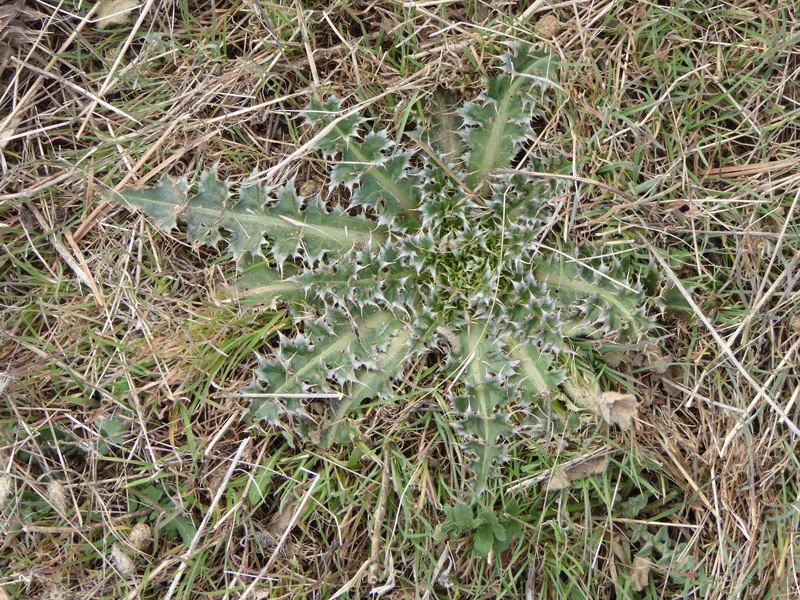 When a diffuse knapweed plant has been cut, the rosette may live and rebolt. Additionally, diffuse knapweed seeds can remain dormant for several years, requiring any cutting program to be repeated several times annually (spring, summer, and fall) to be effective. Mowing or fire can be used as a way to remove standing dead material such that subsequently applied herbicide will be more effective. (Roche’ and Roche’ 1999). Pulling can be effective for knapweed control, but it must be repeated frequently. Youtie and Soil (1994) suggested hand-pulling knapweeds three times annually until the plant disappears. 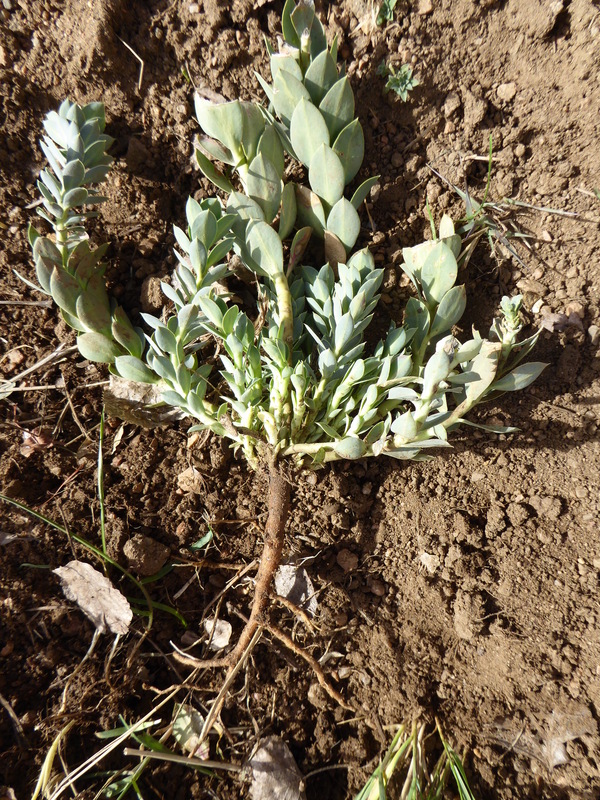 The first pulling is in spring when the soil is moist, allowing enough of the plant to be pulled to kill it. The second pulling in June focuses on bolted plants, with the third pulling just before seed dispersal to kill any remaining plants. Note: Herbicide Control: Single treatments provide temporary but not long-lasting control. Chemical Control: Please go to the links at the bottom of this article for recommendations from Colorado Dept. of Agriculture (Fact sheet pg. 2) and from Jeffco (follow their Link). Interesting Facts: There are over 400 species of Knapweed. 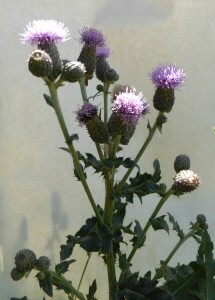 Diffuse Knapweed was brought in from Europe (Mediterranean region). It produces toxic chemicals that can inhibit the growth of desired plants and is a highly competitive plant. Severe infestation (which we have in our mountain communities) result in more than 70% reduction in Elk & Deer forage. May cause a rash in some people. You might as well mow the area now (saving the step of cutting the seed heads only). We can’t stress enough that if you will use a bag on your mower to collect all cuttings, you will greatly reduce the number of seeds left on the ground to germinate next year. If you do not use a bag when cutting, we recommend that you rake the area and bag as many white fluffy seed heads as possible for containment. Now spray the weed infested area. The before and after pasture picture recently posted, and again here, is a result of a Commercial Spray Company spraying for 3 consecutive years. As any new Canada rosettes appeared in the interim (and they will) Yvonne spot sprayed the weed using a selective weed killer which she purchases from Abners on 44th or Echter’s on 52nd & Garrison (or other smaller garden centers) to insure that she is getting the spray with a 47% formula/active ingredient VERSUS purchasing from the larger box stores where the concentration is milder at 4%. The best reason she uses this concentrate, is that it does not kill her grasses. She follows the directions specifically. and never tries to mix a stronger solution, as this is a case where “more is not better”. 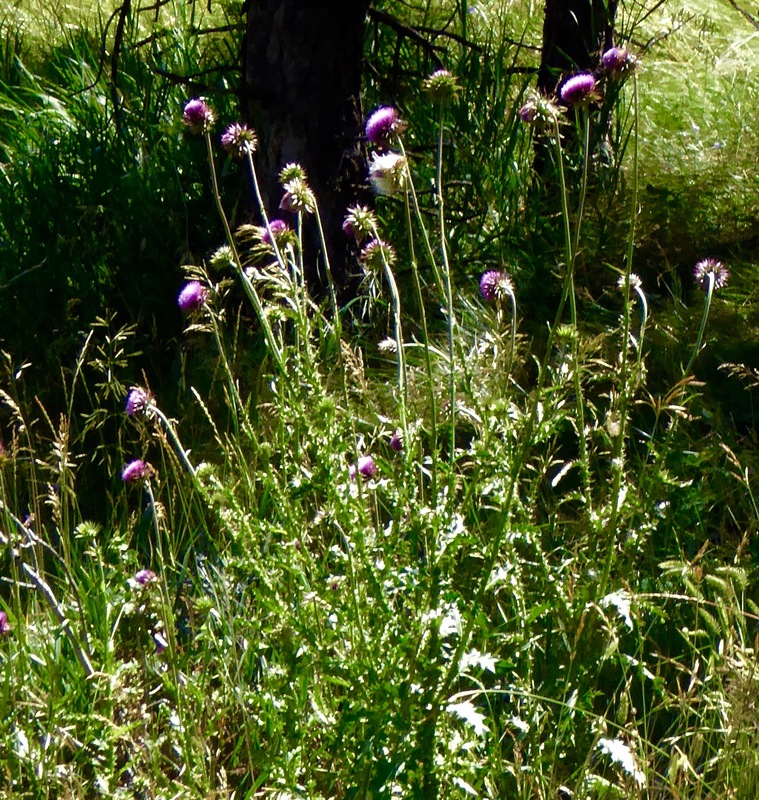 This late in the season, DO NOT MOW your blooming Musk Thistle! You will just be spreading the seed to form new plants next year. Place a bag over the seed head while you’re digging it up to help prevent the jostling of the seeds. We can’t stress enough, that if you will dig up your Musk Thistle, you will KILL THE PLANT FOREVER. Yes, you will have new rosettes next year from the seed on the ground this and previous years, but you won’t continue to have the same plants. If you have already cut the seed heads off your Musk Thistle (your neighbors and we thank you) they have most likely been trying to regenerate a new bud (much smaller purple and not necessarily at the top of the plant). Dig the plant up and it’s over. At a minimum, cut the new seed head, bag it and then spray the rosettes next Spring. 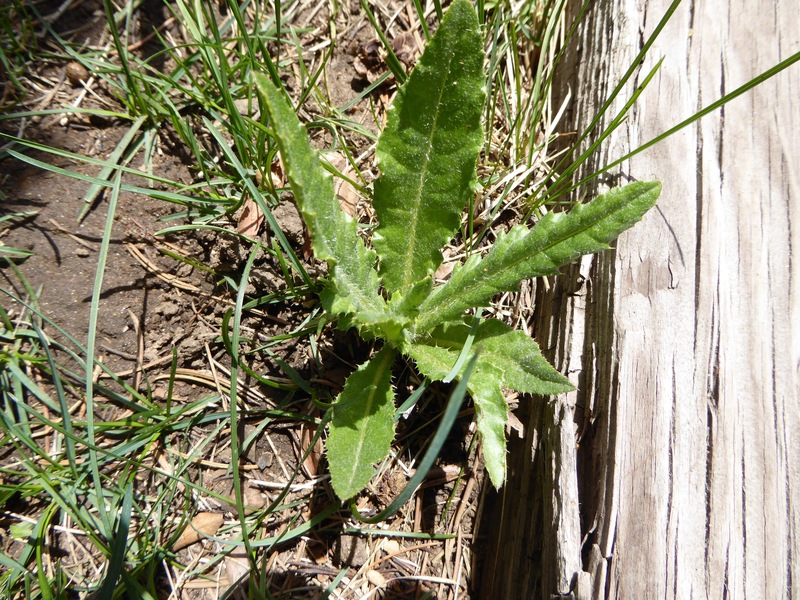 If you have mowed your area some time ago, you’ve probably discovered the Musk Thistle has resurged and formed again with numerous patches of rosettes. Remove any buds that have formed and dig them up or spray them now. 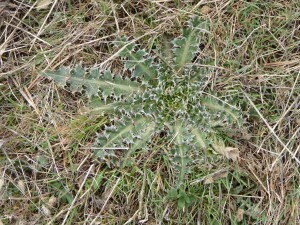 If you don’t kill the plants/rosettes now, you will continue to deal with more Musk Thistle next year. The key to weed control is the prevention of seeds. Next spring, before either the Canada or the Musk form a flower bud, spray the Canada, and dig the Musk. If you are going to hire a commercial spray company, start early, they get busy (see our list of recommended spray companies on the CAREjeffco.org web site). 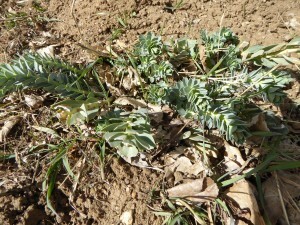 Most suggest you spray early spring when the weeds are a few INCHES high. You’ll then be on your way to a Thistle free acreage. Flowers: Snapdragon type, bright yellow, tinged with orange, 1-1/2 “ long spur. The upper lip is 2 lobed and the lower is 3 lobed. Stem: Upright, branching toward the top up to 3-4 ft. tall. A single Toadflax plant contains from 1 to 25 vertical, Floral stems which are thick walled and somewhat woody. Prostrate stems are tolerant to freezing. Leaves: Light to bluish-green waxy leaves are broad, alternate, ovate, sometimes heart-shaped and upper leaves clasp the stem (an important difference to Yellow Toadflax). Leaves get progressively smaller up the stem. 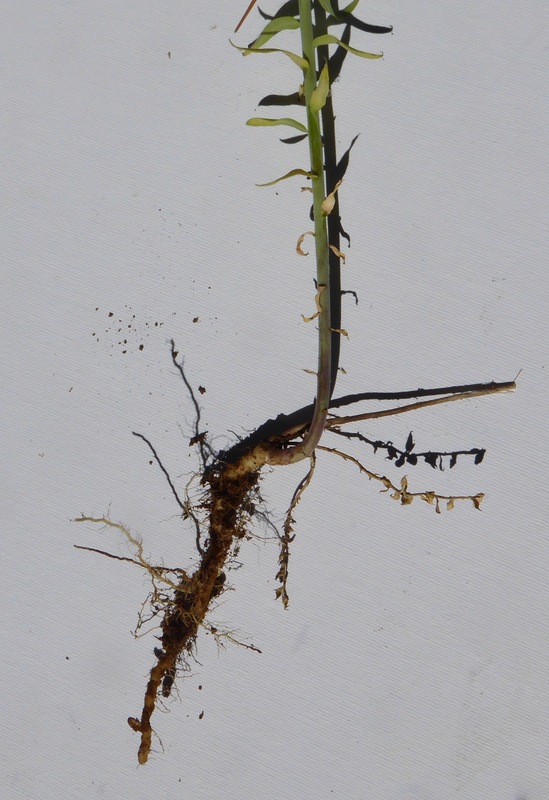 Root: Roots may grow 20 inches deep or more and lateral roots may extend 10 ft. from the parent plant. Very aggressive. Reproduce: By seed (500,000seeds or more/plant) as well as by horizontal or creeping rootsystem. Seeds are irregular in shape, tan-gray and 1/24” to 1/16” across. 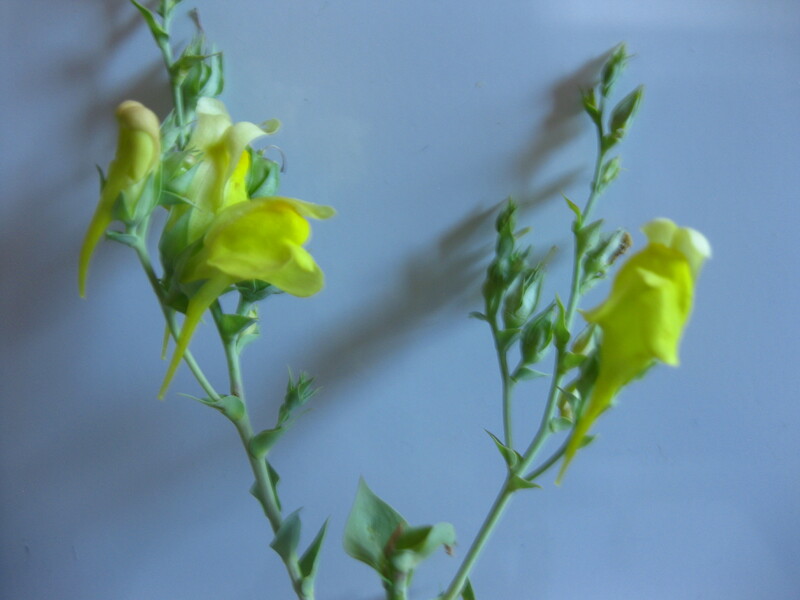 Mechanical Control: The combination of spraying and seeding competitive grasses control Dalmatian Toadflax better than spraying alone. Hand Pulling or digging up the roots for an average of 6 years. Plants will re-sprout from root fragments. Spray at flowering or in the fall. Interesting Facts: It was introduced into the Western US in 1874. Broad leaved Dalmatian Toadflax (L. dalmatica) has been cultivated as an ornamental plant for at least 400 years. Used for centuries as a folk remedy and a dye. 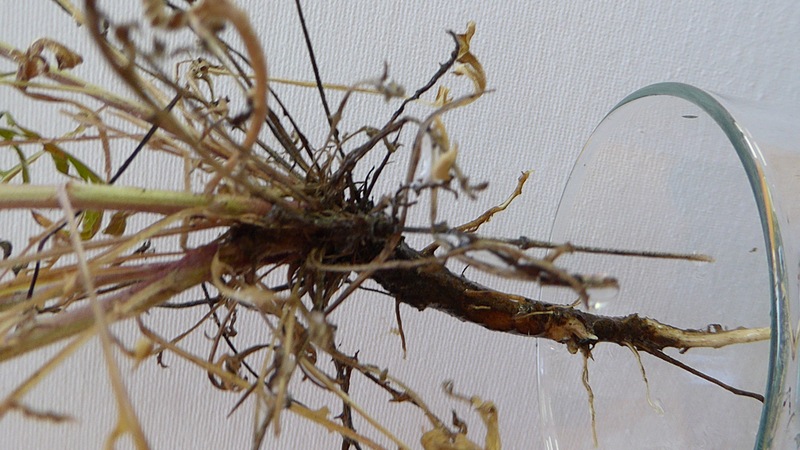 Extensive root system outcompetes other plants for nutrients and water. Contains toxic chemicals that can cause liver damage in grazing animals. Dalmatian Toadflax differs from Yellow Toadflax principally in being larger and having different shaped leaves. 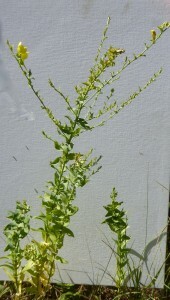 In Colorado, Dalmatian Toadflax shoot density increased over 1,200 percent in six years at one location, and 190 percent over 3 years at another. Flowers/fruit: Small bristly clusters 1 to 5/branch. Size: ½ to ¾ in. wide. May produce 1,000 to 1,500 seeds/flowering shoot. Bracts are spineless. Stem: Height to 4-6’ hollow, smooth around the top to hairy below, branching at the top. Root: Can spread 18 ft. wide and 15 ft. deep. Mechanical Control: Continually stress plant by cutting at ground level every 10-21 days. DO NOT PULL! After blooms form, cut the heads and bag. Chemical Control: Please go to the links at the bottom of this article for recommendations from Colorado Dept. of Agriculture (pg. 2) and from Jeffco (follow their Link). Interesting Fact: A segment as small as 0.25 by 0.125inches can store enough energy to produce a new plant. Note: According to US Dept. 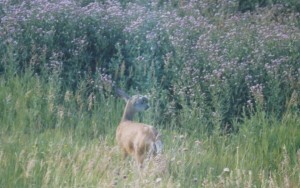 of Interior Land Management WY it disperses a chemical that may inhibit growth of other plants. Flower/fruit: Solitary, terminal, showy. Size is 1½ – 3 in. wide, flat, nodding. Color: deep rose, violet or purple, rarely white, surrounded by many lance-shaped, spine-tipped bracts. 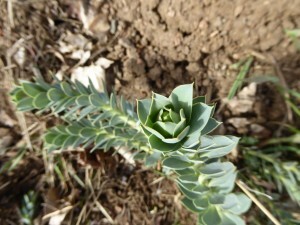 Leaves: Lobed, wavy white outlined margins, dark green, light green midrib, hairless on both sides, long sharp spines. Reproduce: By seed (1,200/flower). Approx. 1/3 viable . 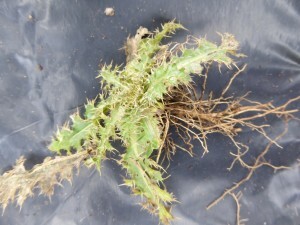 Mechanical Control: By pulling or digging the Musk Thistle before going to seed you will eradicate the plant for good. The root system does not extend beyond the individual plant. 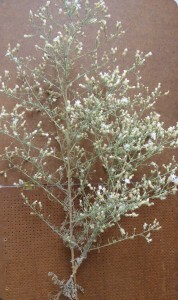 However new plants may still evolve from viable seeds from previous years. Interesting Facts: The bract under the flower is a very distinctive identification feature. 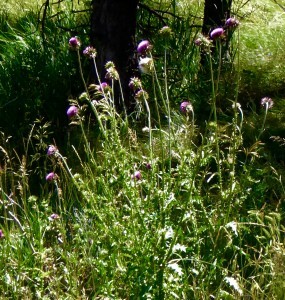 Colorado is home to 20 native thistles of which 8 are noxious. Dig the rosettes or spray. Cut off flowering heads and Bag. Aliases: Aaron’s rod, Adam’s flannel, beggar’s blanket, beggar’s flannel, beggar’s stalk, big taper, blanket herb, blanket leaf, bullock’s lungwort, candlewick plant, clot, clown’s lungwort, cow’s lungwort, cuddy’s lungs, devil’s-tobacco, duffle, feltwort, flannel leaf, flannel plant, fluffweed, golden rod, great mullein, hag’s taper, hare’s beard, hedge-taper, ice leaf, Jacob’s staff, Jupiter’s staff, lungwort, miner’s candle, mullein, mullein dock, old man’s flannel, Our Lady’s flannel, Quaker rouge, rag paper, shepherd’s club, shepherd’s staff, St. Peter’s staff, torches, torchwort, velvet dock, velvet plant, white man’s-footsteps, wild ice leaf, witch’s taper, woolen, wooly mullein. Flowers/Fruit Has a flowering stalk (up to 20”). The 2 celled fruit contains many grooved seeds. Flowers: Are sulfur yellow with five petals, about 3/4″ to 1-1/2″ diameter. Bloom: June to August/September. Bloom a few at a time on the same stalk. Yellow flowers turn brown as seeds mature. Stem: Unbranched can be up to 6 ‘ to 8’ tall. 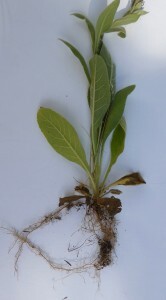 Leaves: 1st year form basal rosette (up to 30” in diameter) and develop seedling leaves. 2nd yr. Leaves become large, (up to 1 ft. long), overlapping, oblong, hairy, alternate and whitish green which progressively get smaller up the stem. 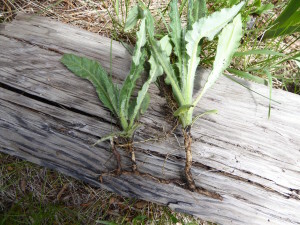 Root: Shallow taproot along with a fibrous root system. Reproduce: By Seed Only (100,000 to 250,000 seeds /plant). Takes 2 weeks to germinate. Please do not cultivate this plant. Remove any dried stalks to reduce fire danger. Seed Viable: Up to 100 yrs. Mechanical Control: Cutting and Bagging (carefully) the flower stalk before going to seed. Hand Pull or dig entire plant (best when soil is moist) before flowers appear. Sowing bare ground with early native grasses or other plants may decrease seed germination. Herbicides must be applied before late flowering stage or seeds may still be produced. Rosette stage works best. Interesting Facts: The plants were originally from Europe/Asia. The Europeans used the flowers for tea, and the leaves for many remedies like burns and rashes. Both the Europeans and the Indians smoked the dried leaves to treat bronchitis. Used as a fish poison. A methanol extract has been used as an insecticide for mosquito larvae. 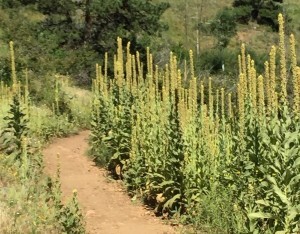 Mullein stalks were traditionally used as a cheap torch. 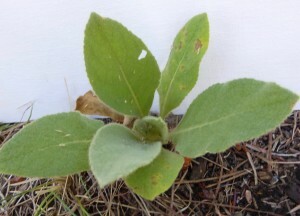 Mullein is Latin for “soft”. Was used for lamp wicks before cheap cotton was available. Mullein oil used to naturally treat dog ear infections. Quaker women rubbed Mullein leaves on their cheeks to make them pink. Anyone using Mullein leaves as toilet paper found their cheeks pink as well.